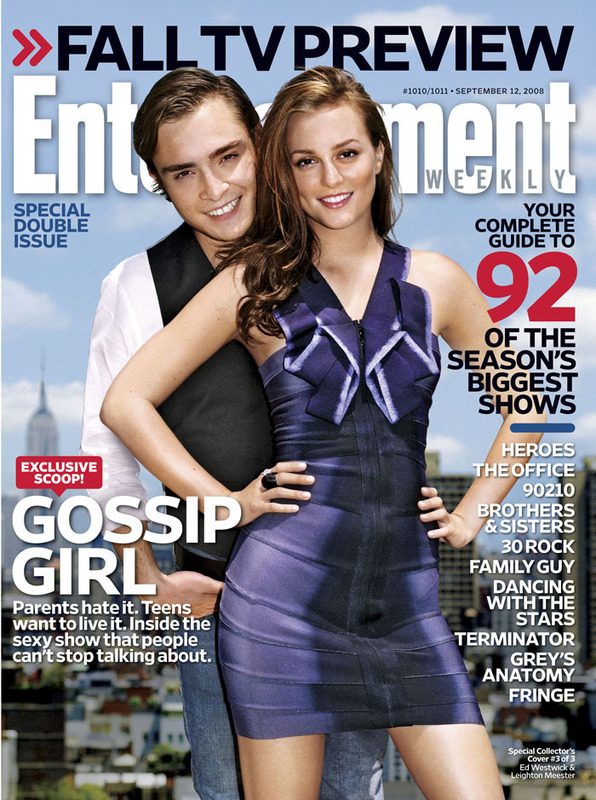 EW September 2008 Cover: Blair and Chuck. 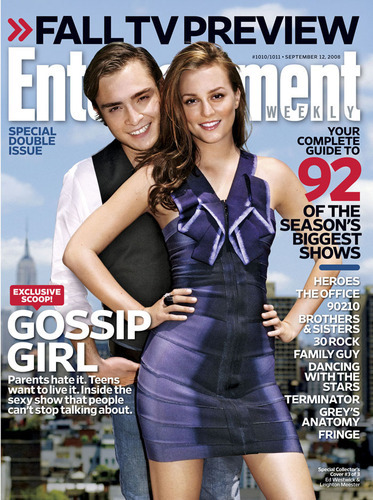 Leighton Meester and Ed Westwick on the cover of EW's Fall TV पूर्व दर्शन. HD Wallpaper and background images in the गोसिप गर्ल club tagged: ew cover magazine blair chuck ed westwick leighton meester. This गोसिप गर्ल photo might contain नंगे पैर, pantyhose, चिपटनेवाला पैंट, चिपटनेवाला, पेंटीहॉस, स्किन्टाइट पैंट, स्किन्टाइट, skintight पैंट, skintight, कॉकटेल पोशाक, म्यान, चड्डी, and leotards.